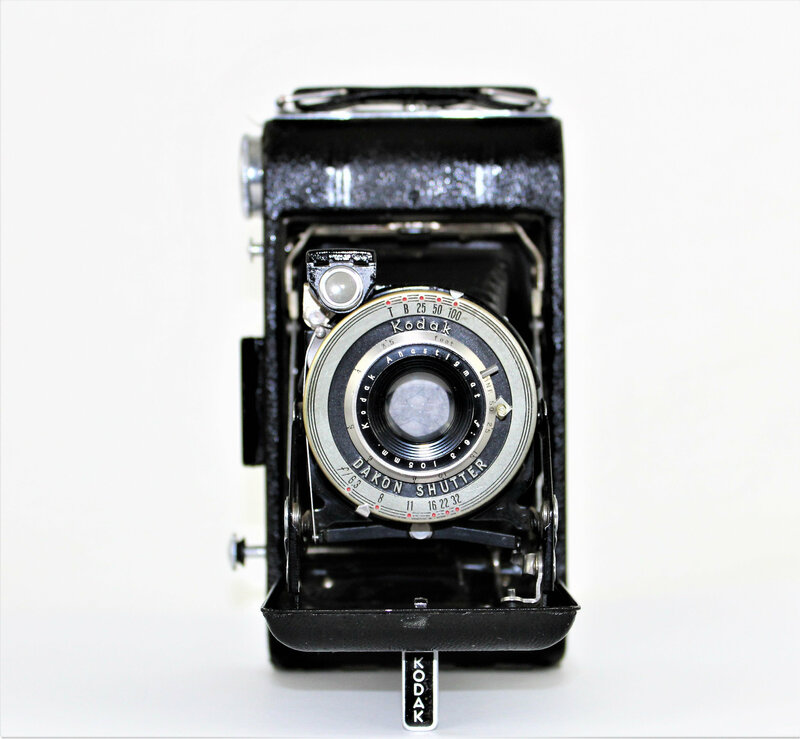 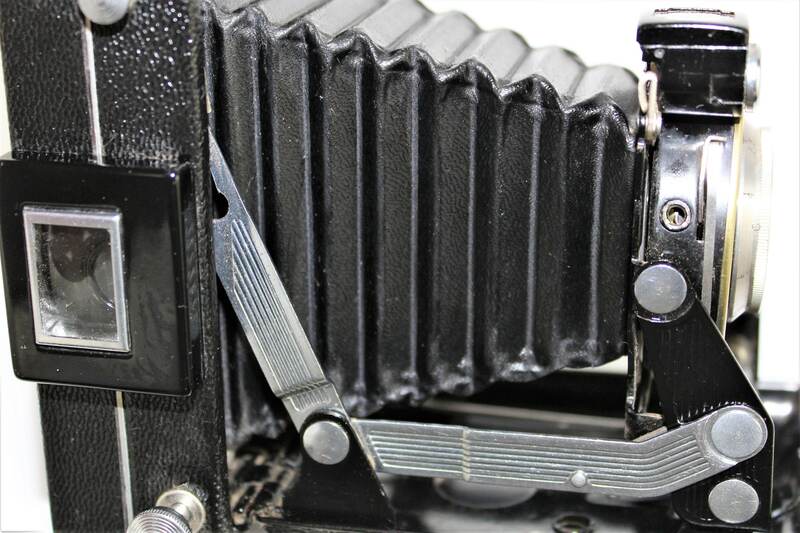 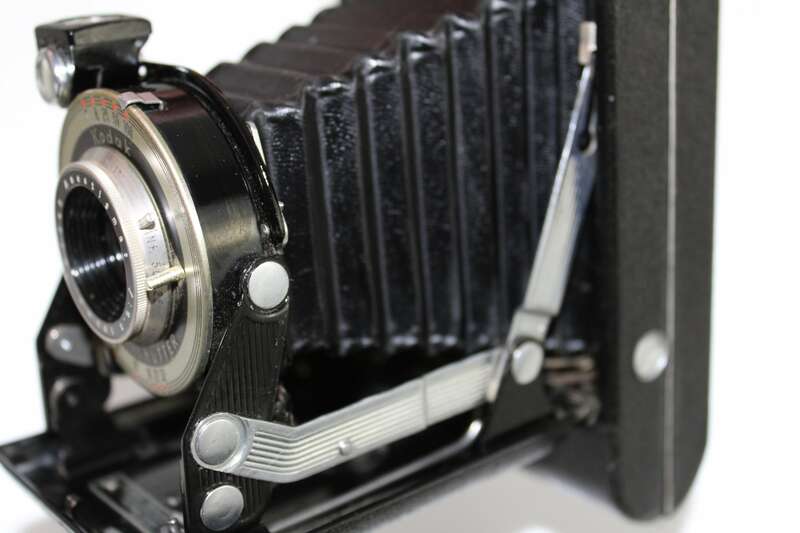 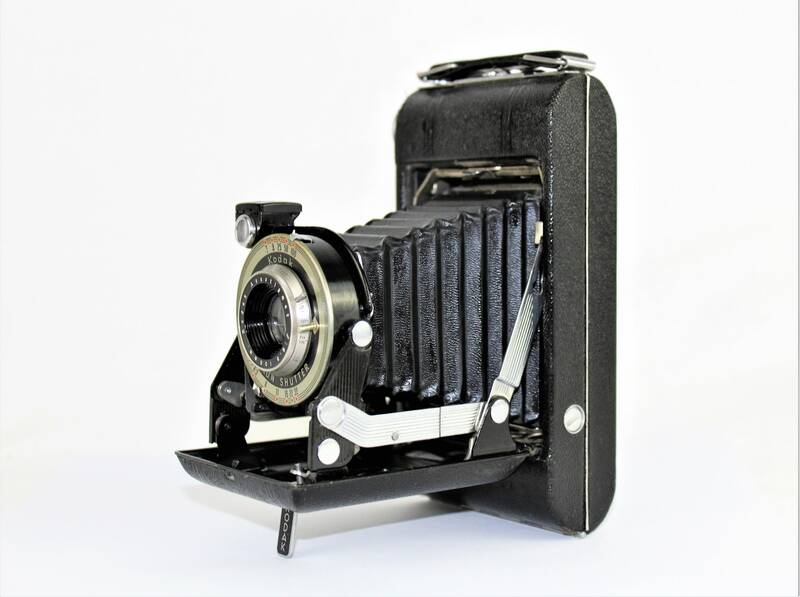 Wonderful folding rollfilm camera with folding optical finder made by Eastman Kodak model number Vigilant Junior six-20. 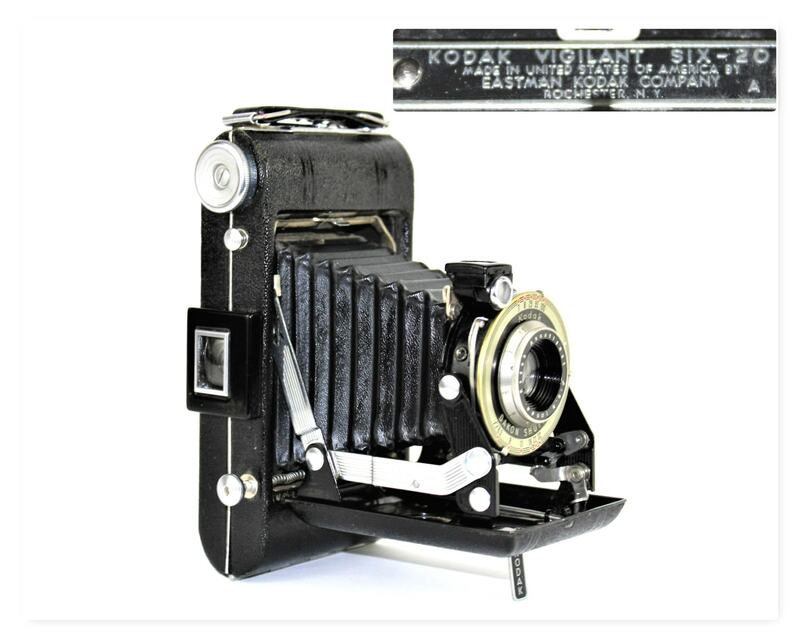 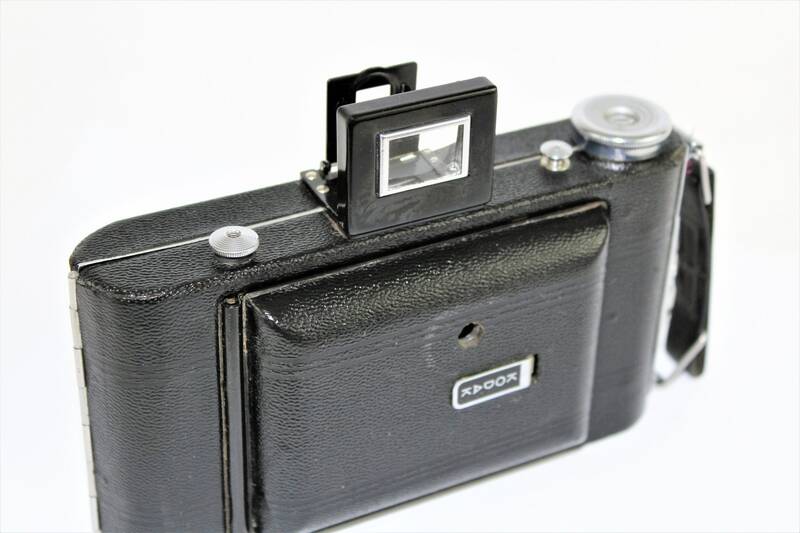 Kodak made this model between 1939 and 1949. 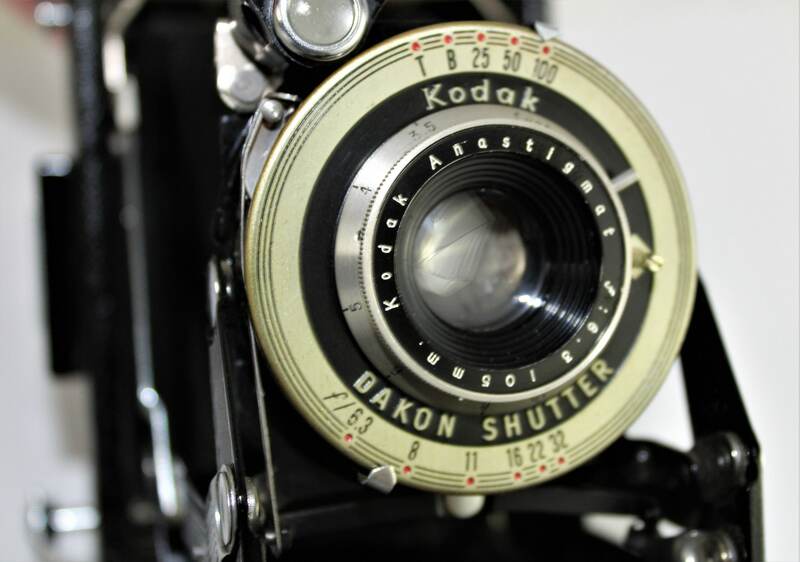 This is a very clean camera perfect for any collector or as a beautiful home décor piece. 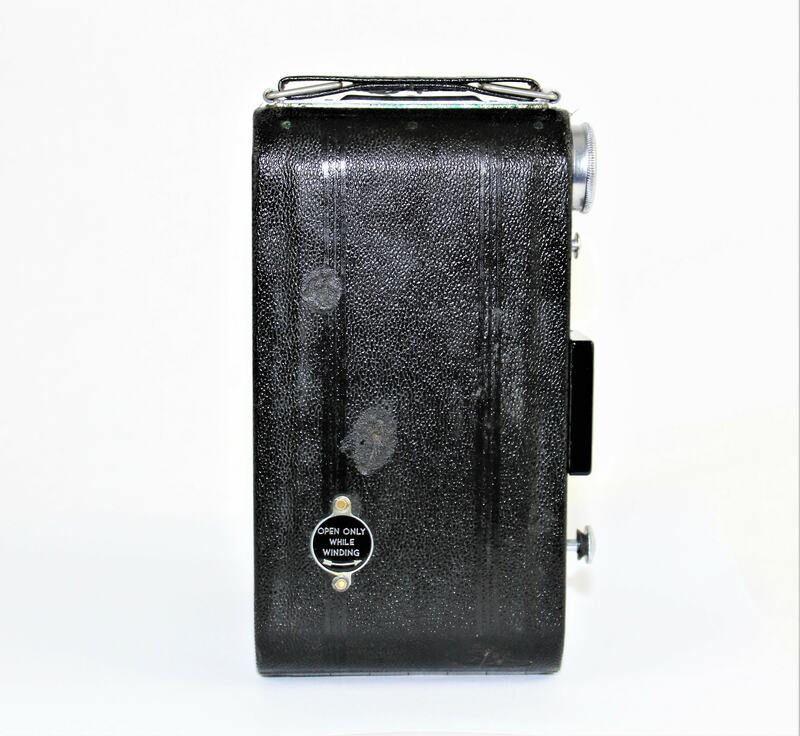 Measures: 6 ¾” x 3 ¾” x 2” closed, 5 ½” deep when open. 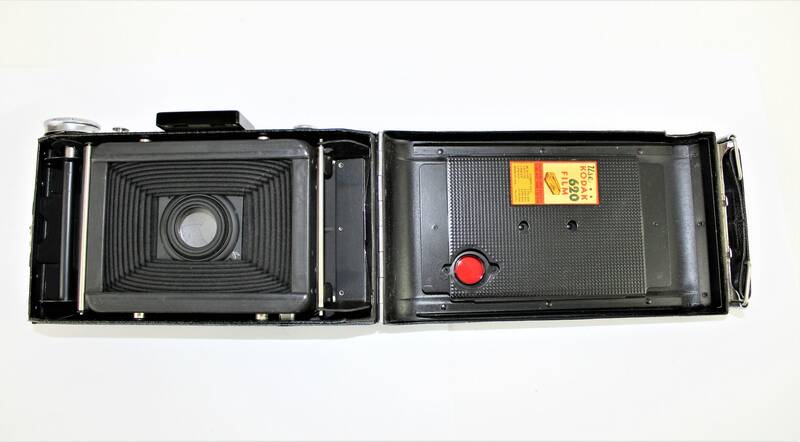 Condition: very good with light wear on casing, two wear spot on backside as shown in pictures.